The lovers of "Spiritual Travel" or "Tirtayatra" certainly must not miss this one, Pura Lempuyang Luhur. The temple is located in the eastern part of Bali, exactly in the District of Abang, Karangasem Regency, Bali. 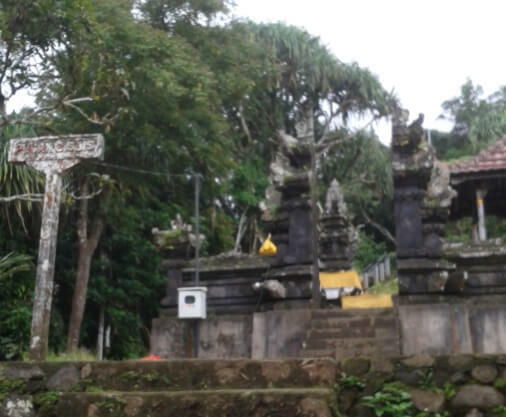 Pura Lempuyang is situated in Puncak Bisbis or Mt. Lempuyang at an altitude of above 1.000 meters asl. The temple area has a cool climate, often foggy, surrounded by beautiful panorama, and blanketed by thick spiritual nuances. 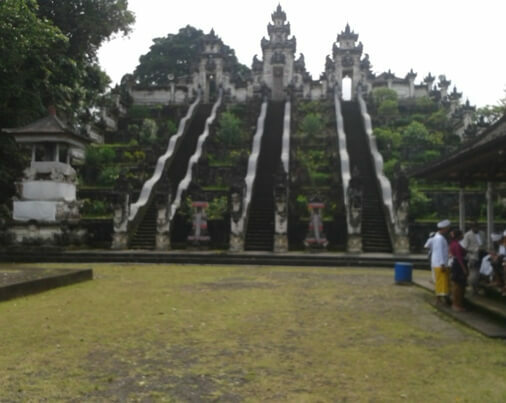 This is a temple complex consisting of the main temple of Pura Lempuyang Luhur and also several supporting temples. 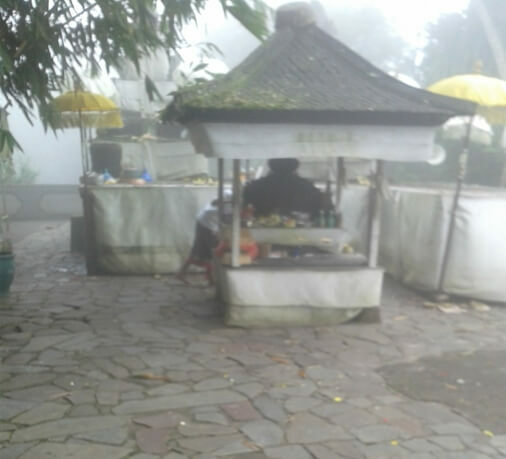 The supporting temples are including Pura Puncak Bisbis, Pura Lempuyang Madya, Pura Telaga Mas, Pura Pasar Agung, Penataran Agung Lempuyang, and more others. It does require extra-stamina to reach this holy shrine. Visitors must tread over hundreds of stairs, with a travel time of about 2 hours from Pura Telaga Mas up to Pura Luhur Lempuyang at the top of Mount Lempuyang. The beauty of tropical forest vegetation will always accompany during the ascent. The forest area around Gunung Lempuyang is so beautiful and still preserved. Visitors can see giant ferns, pandanus mountain, shrubs, and some other hardwood. Fresh mountain air, the chirping of tropical birds, and if lucky visitors can see wild monkeys from the kind of long-tailed macaques. Although as one of the oldest temples in Bali, it has not been found an official record or scientific evidence about the establishment of the Pura Luhur Lempuyang. Nevertheless, the name of Pura Lempuyang has been mentioned in several sources, for example the information in the Inscription Sading C, Lontar Kutarakanda Dewa Purana Bangsul, and Babad Pasek. Lempuyang temple is very important, sacred, and highly revered by Hindus. The temple is considered as "Pura Sad Kahyangan Jagat", which is in the concept of "Dewata Nawasanga" it situated in the East, as the stana of Ida Sang Hyang Widi in manifestation as God Iswara. The piodalan anniversary of the temple is held every 210 days, on the day of Wrespati Umanis Dunggulan (Manis Galungan or the day after Galungan). In addition to the high spiritual vibe, Pura Luhur Lempuyang also has its own uniqueness. In the courtyard of the main temple there is a bunch of bamboo grove. This plant thrives in the altitude and its culms containing water. 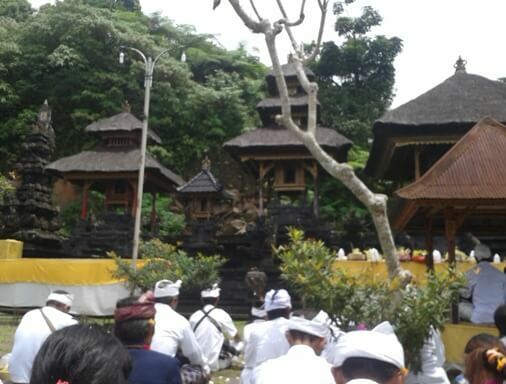 After the praying is done, the priest will cut the bamboo to get the holy water, known as Tirta Pingit. The bamboo cutting is only done at certain times, to preserve this plant. 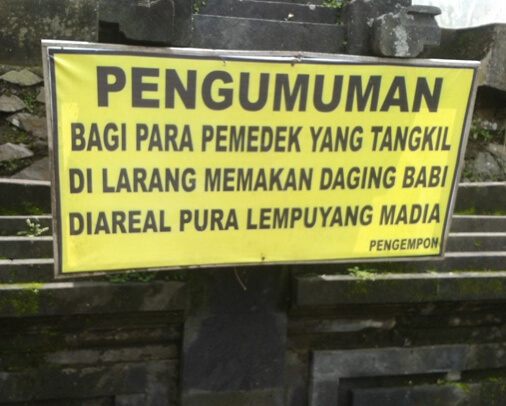 The holy water will be stored in large containers in a special shrine, called Pelinggih Tirta Pingit. In addition to the physical condition, visitors should also be aware of some restrictions, given the Pura Lempuyang Luhur is so revered and sacred temple in Bali. Visitors who want to get here should have been intended by the sincere and do not utter "harsh words" during the trip to the temple. Visitors should not bring or wear jewelry of gold and also should not bring or eat pork. It is associated with local beliefs. Another important restrictions is aimed at people who are "cuntaka" (has relatives died); woman which are menstruating; breastfeeding; and children who have not lose the "baby teeth"; are highly prohibited to go to the temple or praying. It may seem so forcing. 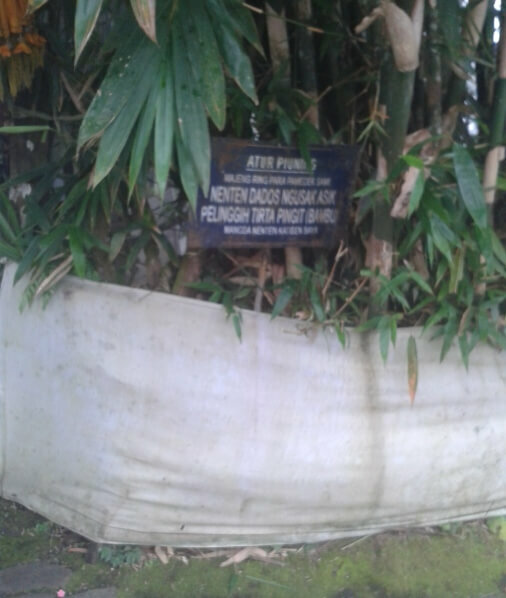 However these restrictions are highly respected by the visitors who come to Pura Luhur Lempuyang.